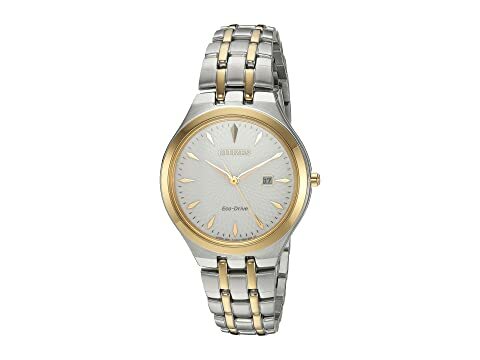 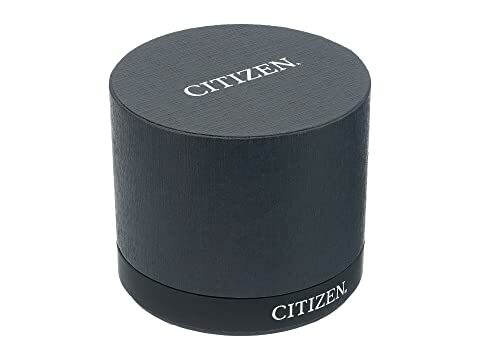 Contemporary style compliments the modern woman with this sleek Citizen® watch! 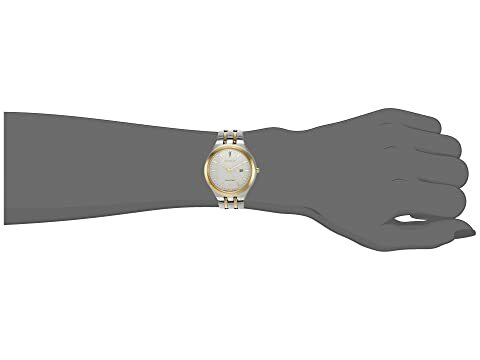 Two-tone stainless steel bracelet with fold-over clasp closure and push-button release. Textured dial features gold-tone hands and hour markers, date display window, minute track, and Citizen detailing.